As the name suggests, extended wear contact lenses can be worn continuously day and night. The majority can be worn for up to six nights, whilst others are suitable for constant wear for up to 14 or even 30 days straight. Extended wear contact lenses are ideal for younger wearers with hectic and constantly changing lifestyles. If you come in from a night out and fall asleep in your lenses, you won’t wake up in pain with dried up lenses and blurred vision! According to CooperVision, this type of lenses is also ideally suited to those with binocular vision abnormalities and those with particularly bad astigmatism, near or long-sightedness in need of constant correction. Extended wear contact lenses are made by a range of leading optical manufacturers, including Ciba Vision, CooperVision and Bausch & Lomb. 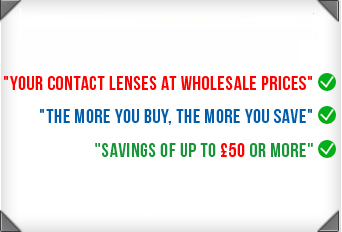 However, although this type if lens is becoming increasingly popular, you won’t get quite as much choice in this category as you will with daily and monthly disposables. As extended wear contact lenses were developed to be worn day and night, they tend to be made from a particularly soft material silicone hydrogel. This material is highly wettable and keeps eyes consistently moist by allowing oxygen to permeate the lens easily. Lenses made from silicone hydrogel tend to offer superior comfort in comparison to other materials. You must seek approval from an optician before trying extended wear contact lenses. Every wearer is different and some eyes are more tolerant to overnight wear than others. Although soft and highly permeable, they aren’t generally suited to those with irritable eyes.